Darcy is the second most important character in Jane Austen's novel Pride and Prejudice. The character of Darcy in Jane Austin's Pride and Prejudice gives contrast to the sweet innocence of Elizabeth. Paper Masters can explain Darcy's character in a research paper for any American Literature course you have. Darcy is the second most important character in Jane Austen's novel Pride and Prejudice. He is a counterbalance to Elizabeth. Darcy too has a sharp intelligence, though it is not so sharp as Elizabeth's. Whereas Elizabeth's intelligence is quick and lively, Darcy's is broad and deep. Darcy is older and more experienced. Whereas Elizabeth's intelligence gives her a carefree spirit and liveliness, as well as quick powers of perception, Darcy's intelligence grasps the connections among persons and circumstances making for society and controls his behavior to maintain his social position and do what he thinks is right in particular circumstances. Because of his idea of independence, Darcy can appear inconsiderate and even harsh, as he did when he insulted Elizabeth at the ball in town. Darcy's intelligence is tied in with his self-consciousness of his social position. In contrast to Elizabeth's intelligence which makes her spirited and somewhat unpredictable, Darcy's intelligence gives rise to the bearing he tries to maintain, even at times to the point of impressing this bearing on others by being inconsiderate. At the ball in town, before he insulted Elizabeth, Darcy is described as "the proudest, most disagreeable man in the world." In this behavior, Darcy exhibits an independence of his own. But it is a different independence than Elizabeth's. Where Elizabeth is set off from all of the other characters because of her balance, restrained feelings, and intelligence, Darcy is set off from them by his sense of social superiority. He kept mostly to "his own party," i. e., the group of persons he came with. He is set off from those who are not in his party, and he seems to know this. In fact, his intentional insult of Elizabeth demonstrates not only that he knows he is setting himself off from others he does not consider his social equals by keeping mostly to his own group, but he also goes beyond this to let others know in no uncertain terms that he considers himself superior to them. But there is more to Darcy than exceptional pride and what seems to be deliberate offensiveness. He also has a sound sense of responsibility. This comes out in the course of the novel, and is seen to be his most representative trait; although it does not block out the pride. His pride, in fact, can be seen as an aspect of this strong sense of responsibility. Social Class in American Literature research papers are custom written on Huck Finn, Gatsby and Inviable Man to name just a few. 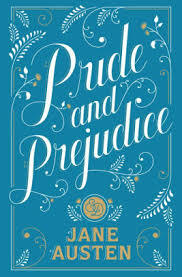 Symbolism in Pride and Prejudice - In her beloved novel, "Pride and Prejudice," Jane Austen did not heavily employ symbolism to represent abstract concepts or ideas. Women in Pride and Prejudice research papers examine the role of the women in the novel. Female Protagonists - Jane Austin produced serious, critically acclaimed novels with strong female protagonists, including Jane Eyre, Little Women, and Pride and Prejudice. Symbolism in "Pride and Prejudice" - In her beloved novel, "Pride and Prejudice," Jane Austen did not heavily employ symbolism to represent abstract concepts or ideas. An Ounce of Cure - The two date for a very short time before the narrator of the story is dumped by Martin for his lead in the Christmas production of Pride and Prejudice. Character - Darcy in Pride and Prejudice - Darcy is the second most important character in Jane Austen's novel Pride and Prejudice. Biblical Matriarch - Biblical Matriarch research papers discuss the change of female activity in the Old Testament of the Bible. Frances Brooke - Fame and fortune as a writer, rather than as a member of high society in London. This type of theme was later emulated by Jane Austen in Pride and Prejudice. Jane Austen Novel Research Papers delve into a sample of an order placed for a book report on a particular author. Sense and Sensibility research papers on Jane Austen's novel are custom written and plagiarism free! Symbolism in Of Mice and Men - Steinbeck includes several symbols in Of Mice and Men that add depth to the story. Eighteenth Century - Johann Sebastian Bach was the leading musician of the age, while Voltaire, Jonathan Swift, Daniel Defoe and Jane Austen wrote landmark novels. Symbolism in One Hundred Years of Solitude - The most famous piece of writing by Gabriel Garcia Marquez, One Hundred Years of Solitude is a novel that tells the story of a Colombian family’s experiences, centered on the patriarch’s willingness to create a new world and life for his family in his own image. Paper Masters writes custom research papers on Darcy in Pride and Prejudice and discuss the importance of this character.